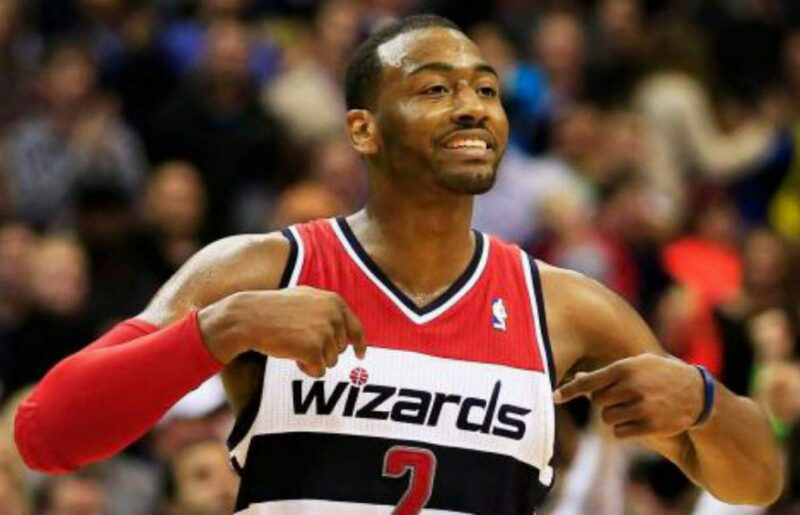 Wizards blow the Blazers out on MLK Day, win 120-101. Six Wizards players score in double-figures as the Washington blows the Portland Trailblazers out on Martin Luther King day, 120-101. The house of guards combined for 49 points (Beal-25, Wall-24) while Kelly Oubre Jr. had one of his best games in a while with 18 points (10 in the first quarter). Meanwhile, Tomas Satoransky, who’s suddenly found himself back in the rotation, chipped in with 10 points and 10 rebounds. The win is the Wizards’ 12 straight at Verizon Center. This one got out of hand early. Washington hit six of seven three-point attempts led by Beal who had three of them in the first quarter. Kelly Oubre stepped in and provided instant offense off the bench with 10 first quarter points as the Wizards found themselves up 37-21. The Wizards tightened up on the defensive end which resulted in an extended 17-0 run that started late in the first quarter and carried its way over to the second quarter. Wall would poke the ball away on his patented wrap around steal as Beal would throw him a touchdown pass for an easy dunk. Wall found Otto Porter in the corner for three to end the half as they led, 75-50. The Wizards were able to stretch the lead out to as big as 30, 95-65 late in the third quarter so Scott Brooks yanked his starters. The Blazers were able to cut the lead to 17 in the fourth quarter that forced Brooks to reluctantly, reinsert his starters. A corner three-pointer from Wall would stretch the lead to 20 as the starters were then able to sit for the rest of the game. Wizards win back-to-back blowout games, 120-101. The Wizards shot 57 percent (13-23) from three-point range including 6-7 in the first quarter. Beal was hot to start as he hit his first three attempts of the game. Oubre was a huge spark off the bench today knocking down three of his four attempts from range. Hell, even Satoransky knocked one down. After being buried on Brooks’ bench, Satoransky has appeared in back-to-back games and played very well. Today, he had 10 points and 10 rebounds in 19:25 minutes of play. This is what the Wizards thought they would be getting when they brought Satoransky over from Europe. He looks to have regained his confidence as he’s now attacking the basket and is no longer hesitating to shoot. If Satoransky can be another scoring threat off the bench, that will pay dividends down the road. Morris notched another double-double with 26 points and 13 rebounds, the bench combined for 36 points, and the House of Guards controlled the game from the start. Not a whole lot more has to be said.